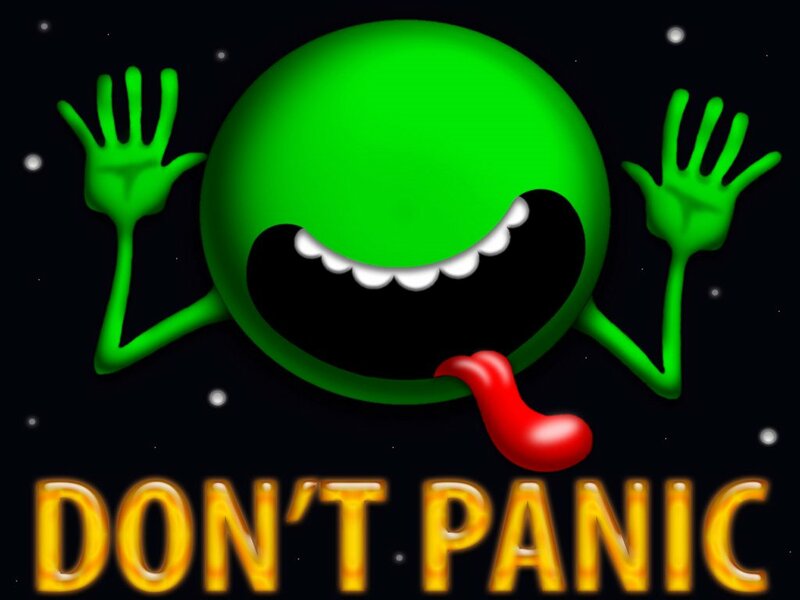 May 25 celebrates Towel Day as a day to honor Douglas Adams, the author of the five (or six) book trilogy Hitchhiker’s Guide to the Galaxy. 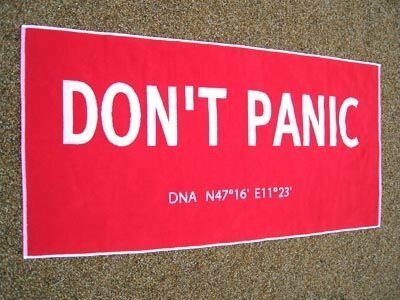 Originally created in May of 2001 to mark the passing of English science fiction humor author Douglas Adams, the day is set aside for fans of his writings to carry a towel throughout the day in honor of the author. Why a towel? I’ll explain below. I had the honor of meeting Douglas Adams almost two decades ago when he was speaking at a special Sun Microsystems event. I recall at the time noting that he talked at 2400 baud, meaning he spoke the English language faster than any other person I had heard before. Erudite, clever, and mind stretching — his talk was much like his writings, at times laugh-out-loud funny. He has appeared on Monty Python’s Flying Circus TV show, and wrote a skit for the album to the movie Monty Python and the Holy Grail. He had also written for the TV show Doctor Who. Though the books may not be as well known outside the world of Science Fiction, the phrase “Hitchhiker’s Guide to the Galaxy” has become a well known literary concept, due in large part to the other media it has appeared in. It gained immense popularity as a radio show, as well as a British TV series. It was a computer game, a stage show, a comic book adaption, and it was a 2005 film. A towel, it says, is about the most massively useful thing an interstellar hitchhiker can have. Partly it has great practical value… more importantly, a towel has immense psychological value …any man who can hitch the length and breadth of the galaxy, rough it, slum it, struggle against terrible odds, win through, and still knows where his towel is is clearly a man to be reckoned with. This idea of a towel is perfectly consistent with, and in harmony with Linus’ comments in A Charlie Brown Christmas. What is the ultimate answer to life, the universe and everything? Exactly Maurizio. But they need an even larger computer to figure out what the question was, for which the answer is 42. Did you see Adams funeral on the web? Fascinating, incredible fun writer, athiest, but his funeral was in a church and included hymns. made you wonder what happened as death approached. While living in New Mexico in 1993 he set up another e-mail address and began posting to his own USENET newsgroup, alt.fan.douglas-adams, and occasionally, when his computer was acting up, to the comp.sys.mac hierarchy. I was not aware of that. I was on USENET from 1985 to around 1995 when browsers and the World Wide Web became widely available. I used to post my history articles there.